This isn't a typical blog. 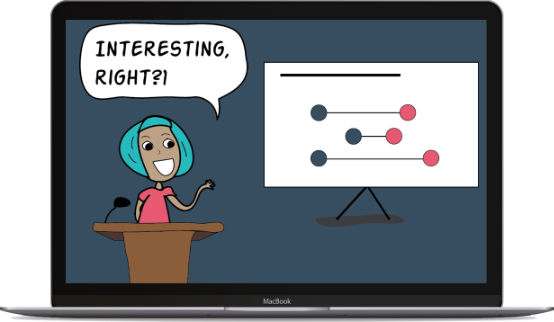 In another post, I describe 6 reasons you should use visuals in your presentations. Those reasons are mostly about helping your audience learn and increasing the chances of your information getting remembered and used. But can I be honest for a moment? *whispers* Don’t tell anyone, but those aren’t really the main reasons I work hard to create effective and visual presentations.